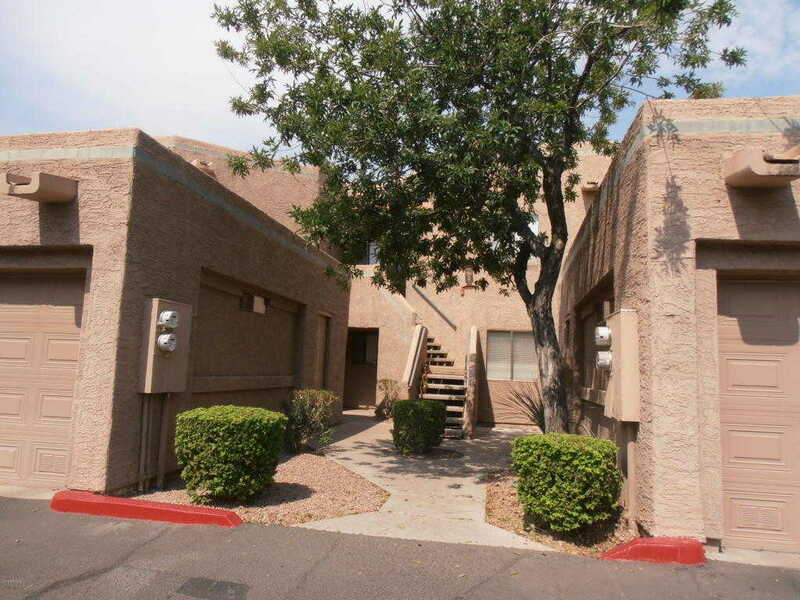 OPTIONAL FURNISHED OR UNFURNISHED UPSTAIRS 2 BEDROOM 2 BATH CONDO IN SOUTH SCOTTSDALE. CLOSE TO OLD TOWN SCOTTSDALE, 101/202 FREEWAYS, TEMPE MARKETPLACE, ASU, RIVERVIEW PARK BASEBALL COMPLEX. GARAGE, WASHER & DRYER, GRANITE COUNTERTOPS. TASTEFULLY FURNISHED WITH BEAUTIFUL BRAZILIAN KOA FLOORS IN LIVING AREA, DUAL PANE ARCADIA DOORS OPEN TO MOUNTAIN VIEWS ON BALCONY. ACCESSIBLE FROM LIVING ROOM AND MASTER BEDROOM. Please, send me more information on this property: MLS# 5799684 – $1,200 – 935 N Granite Reef Road Unit 106, Scottsdale, AZ 85257. I would like to schedule a private showing for this property: MLS# 5799684 – $1,200 – 935 N Granite Reef Road Unit 106, Scottsdale, AZ 85257.